MOA has established relationships with a variety of companies who support the osteopathic profession and offer quality products and services to meet the needs of osteopathic physicians. Many of our MOA BUSINESS PARTNERS offer products and services at discounted rates. Whether it’s for convenience or price, please take some time to check with the MOA BUSINESS PARTNERS listed on this page when looking for products or services in the future. The MOA has teamed up with ACEMAPP to provide a robust career opportunities website. For job seekers, post your resume and gain the attention of healthcare providers in the Great Lakes region. For employers, post positions on the ACEMAPP Careers website and receive views from quality medical providers. With automated and integrated employee solutions customized just for you, ADP® can help you streamline your HR tasks of your practice, better manage your employees and comply with labor laws. *10% discount off standard daily rates, 5% discount off special promotional programs. The Michigan Osteopathic Association has teamed up withBenefitHub to offer members exclusive discounts and special offers not available to the general public. MOA members can save on theme parks, restaurants, hotels, entertainment and more! The Coverys/MOA partnership provides MOA members with the protection of Michigan’s largest medical liability insurance carrier and a proven track record of safeguarding Michigan healthcare for over 40 years. Coverys is rated “A” (Excellent) by A.M. Best and backed by more than $3 billion in assets, providing financial strength and confidence you can depend on. As an MOA member, you are eligible to receive a premium credit of 10% from Coverys! Variable discounts on auto rental. Free discount cards for patients. *Pharmacy discount of 30% to 70% off prescription drugs. 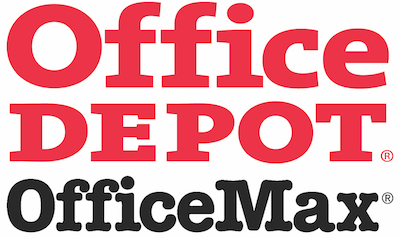 Office Depot has partnered with the MOA to bring valuable savings opportunities to members. We’ve negotiated benefits for you including: up to 45% off on 500+ items. Shop Online with free next day delivery on purchases $50 or more. Or shop In-Store using your Store Purchasing Card to get our lowest prices at your favorite Office Depot location. With endless office essentials available at Office Depot, you'll find everything your business needs, with the smartest value, selection and services all at one convenient place.